Which kind of Gearboxes do you's repair? We repair all makes and models high and low-speed. Contact PPG Works today for free quote and estimate! What is your standard turnaround time for Gearbox Repair? Typically our standard turnaround is one to two weeks. This could be faster or longer depending on the job and condition of your industrial gear repair. Contact PPG Works today for free quote and estimate! Do your Gears meet OEM specifications? Yes! All our Gears are repaired and rebuilt to meet or exceed OEM specifications. Contact PPG Today For Free Quote on your next Industrial gear repair job! We have over 10,000 parts in stock, bearings,bushings,seals, and gaskets. Contact PPG Works today! Does any of the repairs carry a warranty? Yes! All work is guaranteed for 24 months from the time of installation! Contact Us Today for Free Quote! Does it make any sense to repair the old Gearbox Versus buying a new one? Yes it makes all the sense in the world by rebuilding your old unit Back to OEM specifications For a fraction of the cost! Contact us today for free quote on your next gearbox repair! Extruder Gearbox Repair by PPG Works? Do You Repair Extruder Gearbox Repair? Do you have a Extruder Gearbox that needs repair? 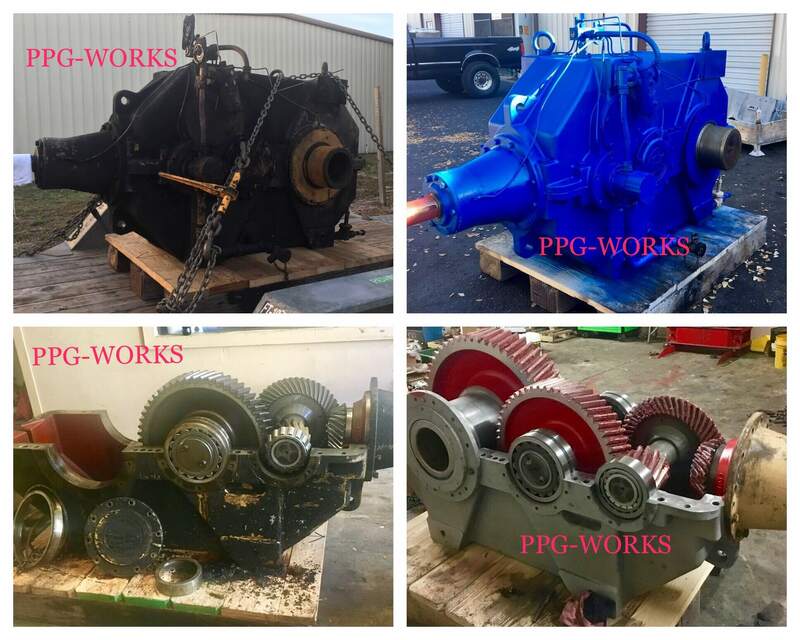 The Gearbox Repair experts at PPG Works can repair your Extruder to full working condition with warranty. PPG Works is #1 on Google when you search "Industrial Gearbox Repair" and there is a reason. Google recognizes the quality in our work and repairs and ranked us above all the others. So, when we say we can help with your Extruder Gearbox repair we mean it. The Extruder company has been around for a very long time and they manufacture some of the best quality gears. However, these Extruder will need repair someday. Extruder offers gearbox repair on their website, but PPG works will most likely beat them in cost and turnaround time. 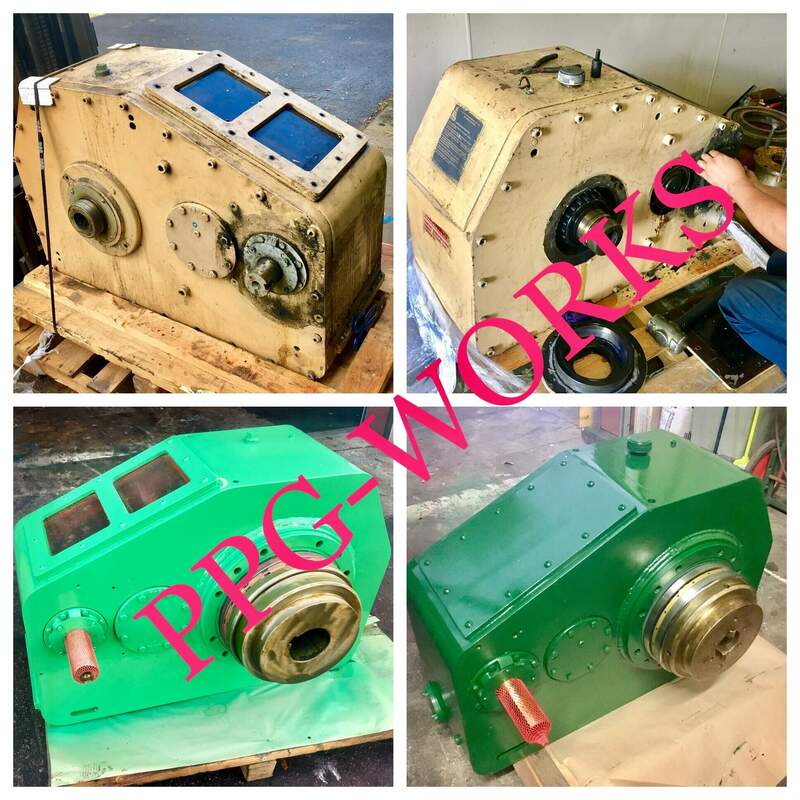 We encourage you to get a free quote on your Extruder Gearbox Repair from PPG Works today!